I often get questions from friends, family and colleagues about our Home Automation (HA) system and how they can also get something like it. I have already written a detailed technology guide to home automation but this blog post is about how I put my system together and how you can do the same without breaking the bank. Home automation is so affordable and accessible these days. Gone are the days when you had to shell out thousands for your own smart home, and even then the end result was far from impressive! You can get fully wireless smart home lighting or security kits for $100-$200 today, instead of the thousands it used to cost! And you don’t need an army of technicians to install it either. The focus of my blog is DIY smart home solutions, and you can get your smart home set up yourself for the most part – you may need a certified electrician if you are not confident enough or your country’s codes require you to use one. What does my Home Automation System do? Run the boiler according to the hot water schedule everyday. Automatically turn on/off the humidifier in the baby’s nursery based on the measured humidity in the room. At night, turn lights on in the stairs when motion is detected. Switch it off after 5 minutes of no motion. Monitor all my security cameras. If motion is detected when the alarm system is armed, turn on QNAP Surveillance Station camera recording and turn on the correct outside lights. Take snaps/record Surveillance Station videos based on different triggers such as new post or a doorbell push. Of course there’s a lot more it can do. Even with my current setup, there are probably hundreds of different scenarios I could set up to make my life more comfortable and increase the security of my home – this is what gets me really excited about home automation! As discussed in detail in my home automation technology guide, think of different functions in your home as sub-systems. For example, lighting is a sub-system, so are heating, water management, and fire safety. Ultimately you need all your sub-systems to be aware of each other and interact well so that you can actually automate your home, not end up with an expensive collection of stuff that gives you headaches! As I say again and again, you have to think long and hard about the basic technology platform that your home automation is built on. If you start buying stuff without considering how they will interact with each other, you will end up wasting your money on kit that works poorly as a whole. With home automation, the attitude has to be ‘set-and-forget’. Your time is precious and should be spent doing what you love with those you love, NOT troubleshooting your smart home all the time. Your smart home should always be working away in the background, doing what you have asked it to quietly and efficiently. It should make its presence felt only when needed. Very costly, very advanced and will need professional installation & support. Installed and maintained by a 3rd party, costly. Its not one manufacturer’s proprietary standard – means I am not tied into one single company’s products or eco-system (no, I am not an Apple person either). More manufacturers means more choice and more competition, meaning the customer invariably benefits. Industry leading standard that has solid reliability and high performance, at low prices. I don’t think its going away anytime soon due to the huge Z-Wave ecosystem that exists today. Long-time readers may have be aware that I used the Vera Plus from Vera Controls as my smart home hub for the last 2 years. However as the time available to work on my HA system has reduced (I am a father of 2 young kids) and my HA needs have grown (for example my multi-zone automatic heating system), I outgrew the Vera Plus. I have done an extensive review of the Vera Plus which is a great resource if you would like to learn more about why I chose it at the time. The stock Vera could handle basic to medium-level complexity scenes. So actions such as turning my hot water on according to a schedule was handled fine by the default Vera. But my fully automated central heating control is way too complex for the default scene editor, so I used the PLEG plugin instead. While I was able to create a single-zone automatic heating system using PLEG, the PLEG plugin is clunky and had a very workman-like archaic approach to workflow. This became impossible to deal with as my second child arrived – I simply did not have the luxury of time or the patience. After much dithering about the higher cost of HomeSeer software and a laptop to run it vs. my Vera Plus, I finally decided to switch to the HomeSeer HS3 software in May this year when they had their annual sale. I am SO glad I did. I just love these amazing little devices that can sense everything you may want to monitor in your house. Temperature, humidity, light levels, motion detection, vibrations, UV rays – you name it, there’s a sensor for it. Based on the readings of the sensor, you can make your Vera Plus heat up or cool down a particular room, switch on lights, open the blinds, send you a text alert, etc. These sensors are battery powered so you can place them anywhere in your house. But hey won’t the batteries run out quickly? The beauty of Z-Wave technology is that it’s mesh-based and is ultra low-power, unlike Wi-Fi which requires much more power. So the batteries will last for at least a year. I use the Fibaro Gen 5 Multisensor and the Aeotec Multisensor 6 – I am very pleased with both of these sensors and would recommend them in a heartbeat. Everyone’s heard about Belkin’s WeMo which popularised the idea of making dumb appliances smart by putting a smart plug between the wall and the appliance. Z-Wave smart plugs are similar, but they just work on the far more reliable Z-Wave wireless technology instead of Wi-Fi like the WeMo. I bought a truckload of smart plugs and have been very happy with the Greenwave smart plugs, I currently use them to automate my bedside lamps, floor-stander lamps, humidifier and air purifier. In a sense my home automation journey started with my boiler controller. When we moved into our new home, I quickly found that the existing boiler controller was outdated and didn’t even have a holiday mode! 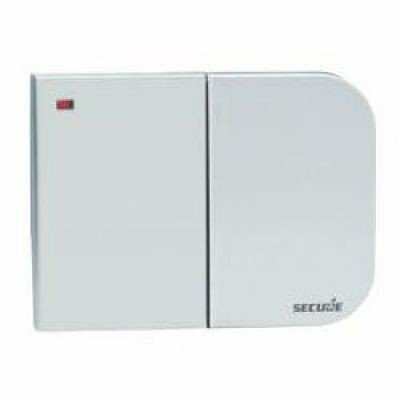 So instead of replacing it with a new ‘dumb’ controller, I got my first Z-Wave device, the Secure 2-channel boiler receiver. There are a few ways you can control your home theatre devices – gold old infrared which is supported by any device, or sending http commands via a network connection. But I didn’t know that I could make my Vera Plus control an infrared emitter to mimic an IR remote control! So my first attempt was the http API route. While my Denon AVR fully supported http API commands, my Panasonic Viera LCD TV had a limited http API command set. So this was a no go. Some quick research led me to a curious plugin for the Vera Plus that could control an InfraRed emitter from a company called Global Cache. I managed to score one of these Global Cache Ethernet to IR devices on eBay. 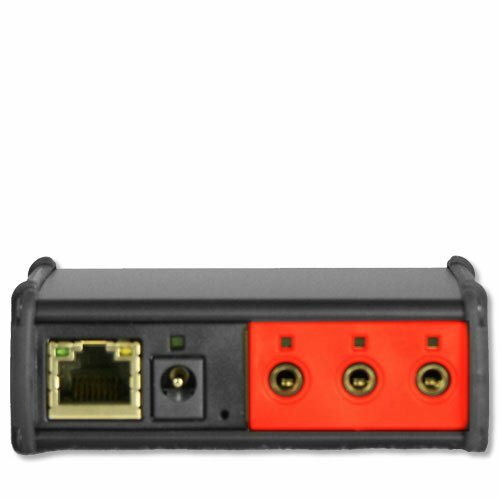 This is a brilliant device which plugs into a network switch using its ethernet port and will take properly formatted TCP/IP commands and convert it into InfraRed commands that it beams out of one of its three IR emitters. They also have a WiFi-to-IR model but I haven’t tried it. 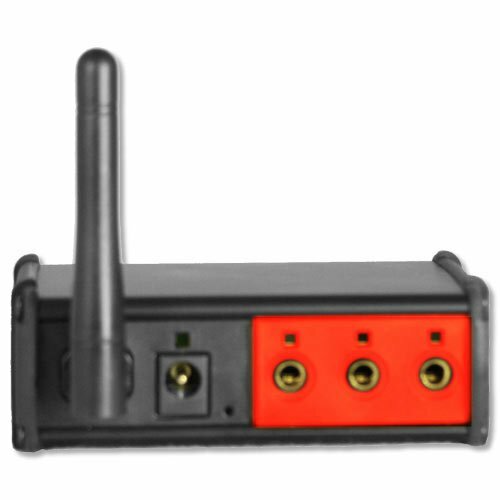 Wireless connection to IR. 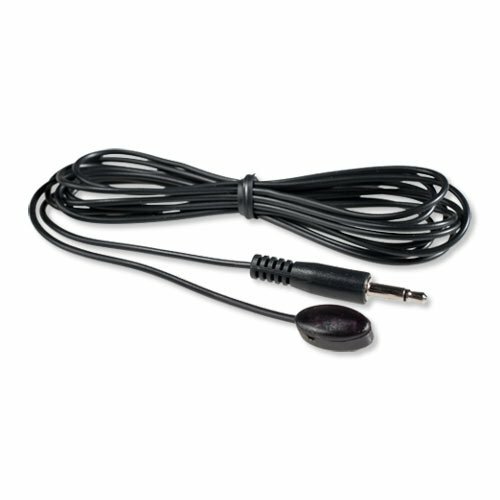 IR blasters and IR emitters included. I used to have a QNAP TS-231+ for over 2 years during which I wrote about my DIY home surveillance system. But I recently upgraded to the much more powerful QNAP TS-253A NAS. The TS-253A is my network storage, my NVR, my media streaming server using DLNA and finally my VPN server. The VPN server feature is especially cool because it lets me remotely access my home network and everything on it including the Vera Plus in a safe and secure manner. So these are all the various bits of kit that I have added to my HomeSeer HS3 Home Automation System right now. While I do not have a review of the HomeSeer system up yet, check out my detailed hands-on review of the Vera Plus if you would like to learn step-by-step how to add each Z-Wave device to a Vera Plus. Got any questions, comments or feedback? Leave a comment below! what do you use to monitor your cameras, you QNAP or the Smart Hub? I use the tinyCAM Monitor app on my Android devices for just checking the live-view. The QNAP NAS monitors the cameras, records motion detection clips and informs HomeSeer whenever motion is detected. I have an iMAC and don’t use Windows or Linux. What home controller would you suggest for a MAC environment as HomeSeer HS3 doesn’t work on a MAC (unless I use VMware…which defeats the purpose of not wanting Windows). Thanks for the wealth of information. I’m just starting the journey, so lots to learn. I understand that the camera surveillance system is separate via NAS and integrated into HS, but i’m not clear on how you approach more classic home security. Typically the concept of arming/disarming the home security system includes door/window sensors, motion detectors, etc. In your Smart Home world is that handled by an integrated security system? Or is all of that functionality (arming, disarming, alarming, sirens, email alerts, etc) set up in the HomeSeer(/Vera) system? Do you make use of strobes and sirens in your system? Are they zwave or more traditional wired units? Also, i notice that you use Imperihome. I assume HomeSeer and other hubs come with their own dashboard/user interface – is Imperihome far superior? It looks to me like that is a monthly subscription style system – am i correct? I’m new on the HA journey, so forgive the ignorant questions. I’m not sure i understand how the old style burglar alarm system interfaces with the hub controller. In other words how do you arm, disarm, send alerts etc – is this happening from the hub or from a dedicated alarm panel? Also, you mention imperihome app – that looks like a monthly subscription app? Does this replace the user interface for the hub (and the home security system)? I am just getting started with my home automation with a Z-Wave system (VeraPlus), a Phillips Hue, a Raspberry Pi (for HA Bridge), Alexa and ImperiHome Pro (on Android) with a bit of Luup Code thrown in. I have just added a Secure SSR302 to the mix and having included it on my VeraPlus it seems not to be recognised properly (only as a Generic Z-Wave device) with a Manufacturer of :Secure and a model of SSR303 (note 303 not 302). It works and I can controll it, but the “failsafe” mode does not work. Did you have this problem and if so do you have a solution? Sorry I didn’t have any such issue at all with the Secure SSR302 and Vera Plus. Have you contacted Vera Support? I posted on the Vera Forum and received this reply. I suggest contacting our Customer Relations Department by sending an email to support@getvera.com and seeing how we can assist you. So far no reply from Support.